Yes, Storage Wars the Game, as in the game based on the A&E TV show Storage Wars, no relation to Star Wars. So if you've seen the show your a step ahead, basically you go to different storage lockers and auction houses and bid on storage lockers against two other bidders. When you roll your mouse over an item in the locker you see an idea of the sale price such as, $432 - $?, so you at least have clue to what the items are worth. So of course the main part of the game is to participate in auctions and make money. You can also upgrade your house with trees and fences and goofy decorations like a crashed UFO. 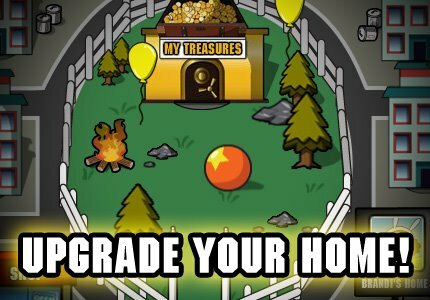 Upgrading your personal storage lockers is important because you need to collect treasures for fun, and they give you treasure points that are used to grant users access to better purchases. And of course you can visit your friends' houses and level up and rank on the leaderboard. My favorite strategy is to quickly grab all the dollar signs in the locker which grant exp and cash. Then quickly add up the approximate value of all the items in the locker by memory and place the first bid accordingly. Also note that you need to spend money to make money, in the sense of expanding personal storage lockers, truck space, replenishing energy and general upgrades. But always have more than enough cash on hand in case you come across a storage locker than has a lot of expensive items, it wouldn't be fun to miss out on a great chance due to a lack of funds. 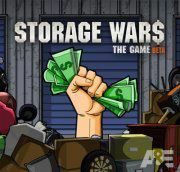 Storage Wars: The Game is a pretty decent tribute to Storage Wars the television show so if you are/were a fan, you might enjoy playing the game. The game however is lighter on the auctioning side and replaced with a sort of collecting and reputation building style. So all in all I liked the game more than the show but neither come into consideration for my top ten lists.